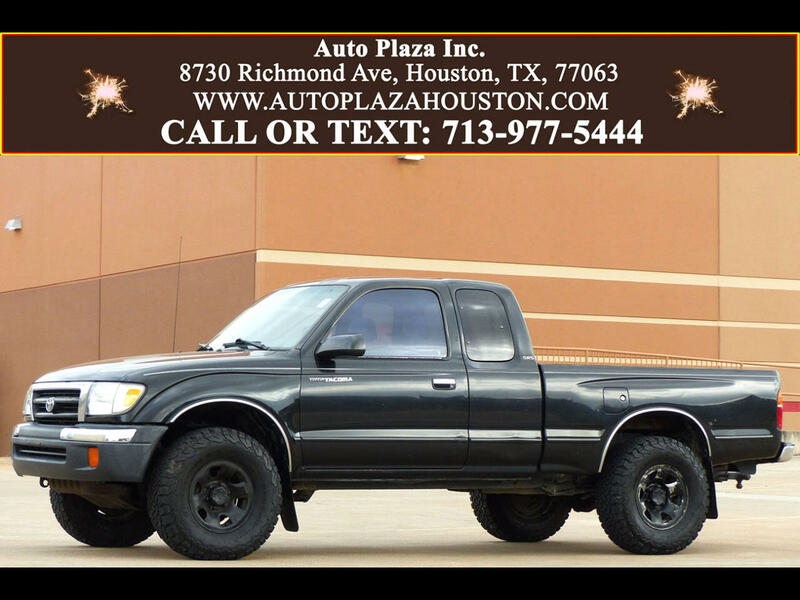 Used 2000 Toyota Tacoma PreRunner Xtracab V6 2WD for Sale in HOUSTON TX 77063 Auto Plaza, Inc.
Presenting This HIGHLY DESIRED 2000 Toyota Tacoma XtraCab PreRunner with The VX Value and Preferred Equipment Packages mated to a Slick Automatic Transmission. This Tacoma really is the Perfect Combination of Sheer Brawn and Beauty! Options Include, 6.2ft Bed With Bed Liner, CD/ Mp3 Player, Aux and Usb Audio Inputs, Tow Package, Sliding Rear Window, Am/ Fm Stereo, Cruise Control, Chrome Bumpers, Dual 12V Auxiliary Power Outlets, Illuminated Gauges, Tilt Wheel, Service Interval Indicator, Dual Front AirBags and More! So, What Are you Waiting for? Call NOW! Find out how we can get you into this Great Truck. .. . . . . . . . . . . . . . . . . . . . . .More Pictures Available On Our Website. . . . . . . . . . . . . . . . . . . . ..WWW.AUTOPLAZAHOUSTON.COM. . . . . . . . . . . . . . . . . . . . . .